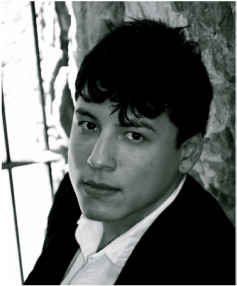 Gabriel Infante is a recent graduate of the University of Texas at El Paso Commercial Music program. He has performed in various ensembles at UTEP and around El Paso, including UTEP Opera, El Paso Opera, the University Chorale, as well as commercial chamber ensembles both in and out of the UTEP programs. Gabriel has been singing since childhood, is a songwriter and composer, and is currently working on a debut album. He hopes one day to open his own production company, as well as work as a touring performance artist and singer-songwriter. 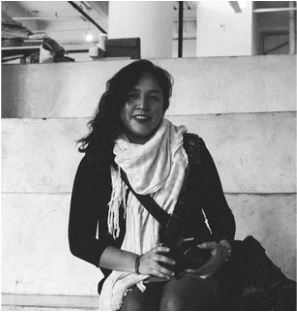 Laura Bustillos Jáquez is a documentary filmmaker from the border of Mexico and the United States. She focuses on telling transformative stories about people who are separated from their families for political reasons, people who are legally undocumented, and people who are not limited by these obstacles and create ways to succeed. Laura has a BA in Visual Journalism from Brooks Institute with a focus on documentary filmmaking. 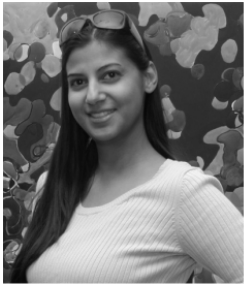 She is an alumni of the David Lynch MA in Film at Maharishi University, and in the production of documentary series “Undocumented Freedom” - a project that intends to put a human face to what it feels like to be an undocumented immigrant in the United States of America. 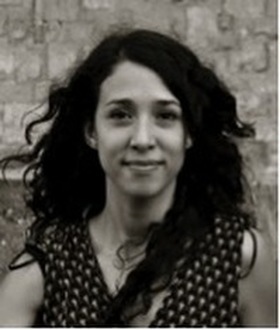 Janeth Herrera is a social anthropologist who has been passionate in researching and developing the relationship between Art, Performance theory, Ritual and Play in certain social events, which has led her to the practice of Performance Art. For several years she was part of the “Frecuencia Perforadora” Collective in Chihuahua, Mexico, where she actively participated in the creation and implementation of multidisciplinar art projects. Her artistic explorations revolve around the search for the time of the flow, where mind and body are fused, where the reason is not involved in the action and the body reflects life stories, collective memories and social contexts. Ale Simoné Velazquez is a graduate of the Bachelor in Fine Arts in Dance at the University of Texas in El Paso. Dance has been part of her life since she was born; her family says she got it from her grandmother who would dance to anything. She is from Juarez, Chihuahua, México and has the complete support of her family. Simoné started her dance lessons like most little girls, doing ballet and traditional Mexican Folkloric dance. 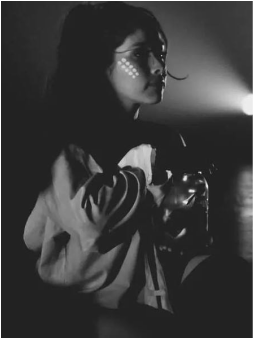 But, once she came to the U.S. she discovered contemporary dance and it changed her life. With great mentorships like Cristina Mitchell, Andrea Vazquez, Paola Lopez, and other great dance instructors from EPCC and UTEP, Simoné has been able to explore different aspects of the dance world. She has explored areas like ballet, improvisation, hip-hop, and Spanish dance. However, contemporary has always been her main style. In the future she plans to get a Masters in Movement Therapy or Performance to be able to share with others the joy and love for dance as well as help others experiment the reliefs that dancing gives. Ana Suffle has been a dancer and dance educator/choreographer for over thirty years. She has studied and danced with several dance companies and has taken countless extensive master workshops in Modern Dance, Jazz, Tap, Clogging, and Somatics. Most notably with master teacher and dancer Bill Evans. Ana has taught dance at Ysleta Independent School District, Gadsden School District in New Mexico and El Paso Independent School District and has been a member of International Dance and Exercise Association (IDEA), and Texas Association of Physical Education, Health Education, Recreation and Dance (TAPHERD). 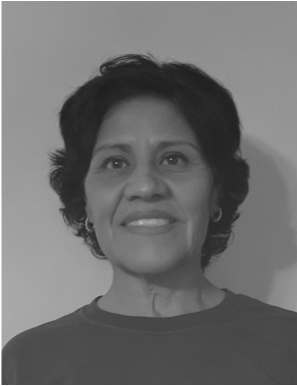 During her career, Ana was nominated Teacher of the Year, Top Ten Teacher of the Year by the El Paso Independent School District and has also been Nominated by National Association of Latino Artists and Culture. Currently, she is an adjunct Professor at New Mexico State University and the University of Texas at El Paso. In addition, Ana was recently recognized by San Antonio Latino and Marketplace National Radio Station for her continued work in promoting opportunities for underprivileged youth. 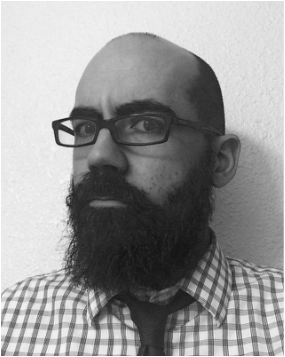 Randy Maguire is a composer, sound artist, and guitarist from El Paso, Texas. Randy creates and performs electroacoustic music, much of which is based in improvisation and also incorporates the use of acoustic instruments. Most recently, he has collaboratively worked to create interactive performance installations with the transdisciplinary public art exhibition series, the Transient Triangle Project. Randy earned a master’s degree in composition at the University of Texas at Austin where he studied composition with Russell Pinkston, Dan Welcher, and Yevgeniy Sharlat. His chamber opera, When The Horse Runs Off, was performed as part of the Cohen New Works Festival in 2011 and Randy was selected to receive the Roy P. Crane Award for Outstanding Achievement in the Arts. He also earned a B.M. in music theory and composition from UTEP in 2008 where he studied composition with Dominic Dousa, and jazz guitar with Curt Warren. Various groups have performed his music, including the El Paso Symphony Youth Orchestra, who premiered his orchestral work Dawn on Mount Franklin. Randy is currently the Guitar Director at Eastlake High School.